Starbucks Verismo Pods are made to use with their Verismo coffee and espresso maker. 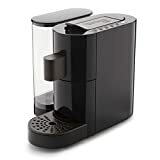 This device is similar to Nespresso and Keurig, which all use single serve pods to make coffee. 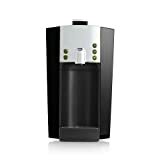 The Verismo also has milk pods in order to make Starbucks espresso based beverages at home. 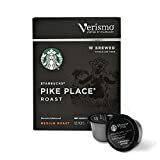 According to Starbucks customer service each Verismo brewed coffee pod will yield 50-60mg of caffeine. Their Verismo espresso pods yield slightly less caffeine at 40-50mg per pod. Shown above is the maximum amount a brewed pod should contain per serving. An 8 ounce cup of regular Starbuck brewed coffee delivers 180mg of caffeine, so Verismo is significantly less. A complete listing for Starbucks Caffeine Content is found here. How Does Starbucks Verismo Coffee Pods Compare? 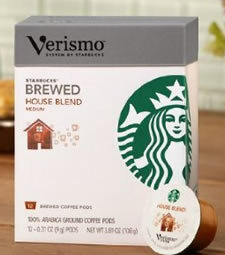 Starbucks Verismo Coffee Pods contains 7.50 mgs of caffeine per fluid ounce (25.36mg/100 ml).